Communication Objectives: Children will learn the names of shapes and how to describe them to others. Language Objectives: Children will describe shapes using basic adjectives. 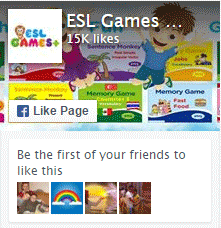 They will use sequencing adverbs such as first, next, then, and finally to talk about an order, or process. Dialogue Story: Freddie and Lisa are looking at shapes in their room. Lisa wants to know the names of the shapes, so she asks Freddie for help. They talk about what they can dow ith shapes. 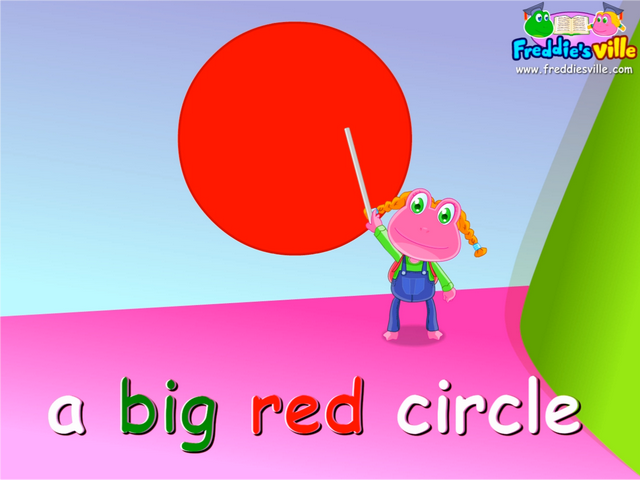 Freddie shows her how to use shapes of different sizes and colors to draw a clown. It’s a circle. A circle is round. We draw things with shapes. Grammar: This lesson uses sequencing adverbs to describe a process. First draw a big square. Next draw an oval for his mouth. Finally, draw a big rectangle.